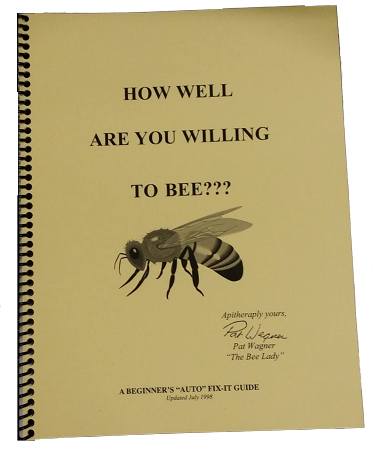 Home > Gifts > How Well Are You Willing to Bee? why as well as how bee products are good for multiple applications. Although written with colorful enthusiasm primarily for MS patients, others can also use this helpful guide for success with correcting their disabilities. Arthritis, foot drop, incontinence, vision and hearing trouble, poor balance, scars, moles and more are addressed in this easy to read beginner’s self-help guide. You will also learn facts about bees and their lives. Relieve not only your symptoms but your fears about this ancient, tried and true, use of bee venom therapy.